After we spent a week on Brave, we would be remiss to not review the film we were all so excited about. I am delighted to take that bullet. After all, I've been foaming at the mouth to see it since it was announced so many months ago. So this weekend I asked my Mom if she'd want to go to the movies with me and off we went to the local multiplex. It was a theater packed with children, which would make any levelheaded and sane person decide to see the movie another day. I would not be stopped by mere children, however. Thankfully, they were enraptured and silent as soon as the movie began, something I've never really seen before at a "kids" movie. Hardly any child made noise or cried. It was meet with the same reverent silence that a grown up movie has. In true Pixar fashion, the little short before the main event was just as beautiful as the feature film. Do not arrive late to Brave and miss it, it's a gorgeous little short and I found myself a little teary-eyed (with joy) at the end. Damn Pixar, already pulling my heartstrings? You glorious bastards. I could barely contain my excitement as Brave began. Watching Merida and her world come to life was such a magical experience. Spoiler alert: I LOVED IT! Read the rest of Meghan B's review for Brave under the cut! Brave begins with a young (and adorable) Merida receiving her first bow. Then a bear comes along and ruins it. I won't give away the scene, but already I was on the edge of my seat! The main story slowly unfolds, allowing us into Merida's world. Her family is fascinating and yet completely familiar. Her mother lectures her on proper etiquette, her father is a playful, laughing guy who indulges her love of archery. Her brothers, "wee devils", are hilarious troublemakers. Merida is gutted to discover her mother plans to marry her off to a son from a local tribe. Wanting her own freedom, Merida chooses archery as the event that will win someone her hand and then picks up her bow for herself and outshoots everyone. I won't reveal the whole story to you, dearest reader. The delightful twists and turns of the plot have to be seen to be believed. I don't want to spoil that for you. Trust me, though, the trailers don't give away ANYTHING! I was so surprised when I realized what was going on. It was a brilliant way to move the plot along. Brave was exceedingly gorgeous to look at. Every single character was a delight to watch (especially the incredibly funny, almost Monty Python-esque clan leaders) and nothing ever felt fake or forced. The story flowed beautifully and a few times I caught myself getting a little teary eyed. It's officially my favorite Pixar movie. The story was a little simple, but I think that helped the overall film. It didn't need something complicated. It was lovely in it's simplicity. 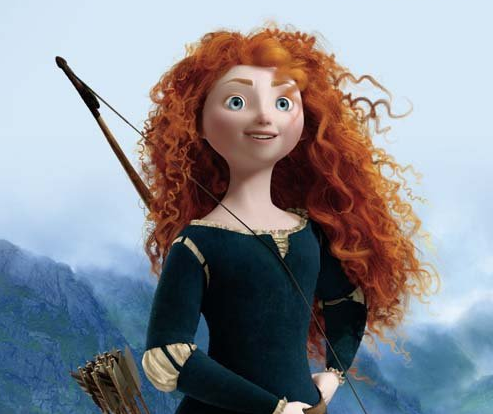 Merida was fierce and wonderful as Pixar's first female protagonist. She was strong, smart and resourceful. She also was not afraid to grow. I adored her. I wish I was a little girl so I could adorn my bedroom in Brave merchandise and sleep with a Merida doll. Of course, the absolute beauty of the film can not be overlooked. Brave was the most beautiful Pixar movie ever. Merida's hair alone was drop dead stunning. The Scottish scenery was eye popping. I do not have words in my vocabulary for just how beautiful the film was. God, it was just breathtaking. Brave was absolutely wonderful. A total must-see this summer. Don't wait for this one to hit the Redbox, you have to see it in theaters to appreciate the vast scope of the scenery and how much thoughtful work Pixar pit into it. I personally can not wait to go see it again. I know for a fact it's going to become a staple in my family's movie collection. 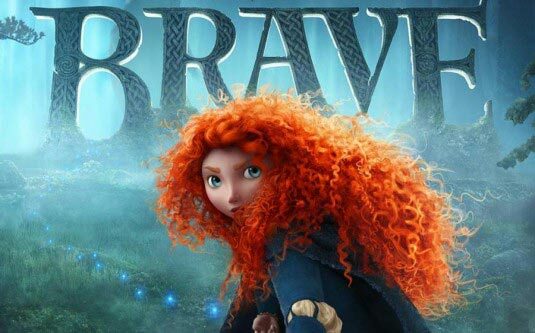 Have you seen Brave yet? Let me know in comments what you thought about it! I'm super excited to see this film, I am planning to go tomorrow with my mom and sister (My sister and I are in our twenties lol definitely not a kid). Great recap you guys!